BEAUTIFUL CUSTOM HOME W/ 3879 SQ FT & 5 BEDROOMS NESTLED IN THE CLEAR CREEK COMMUNITY. SOME OF THE FINER ENHANCEMENTS & FEATURES INCLUDE: A 2-STORY FOYER W/ A GRAND CURVED STAIRCASE, CUSTOM CABINETRY, GRANITE, CUSTOM TRIM & CARPENTRY, CENTRAL VAC & SOLID WOOD DOORS. 1ST FLOOR MASTER W/ A LUXURIOUS BATH, 2 ADDITIONAL BEDROOMS, SPACIOUS KITCHEN W/PANTRY. GRAND 2-STORY DINING ROOM, LARGE LAUNDRY ROOM FEATURING DUAL HIGH CAPACITY WASHERS & DRYERS. 2ND FLOOR HAS 2 BEDROOMS, 1 FULL BATH & LOFT AREA OVERLOOKING THE 2-STORY GREAT ROOM. CURVED STAIRCASE LEADING TO THE PROFESSIONALLY FINISHED 3000 SQ FT BASEMENT W/WALK OUT ADJOINING THE OUTDOOR PATIO. THIS SPACE BOASTS; DAYLIGHT WINDOWS, FIREPLACE, BAR AREA, BATH, BONUS ROOM & LOADS OF UTILITY SPACE. BEAUTIFULLY LANDSCAPED YARD W/ A MULTI-LEVEL BRICK PAVER & STONE PATIO & PRIVATE WOODED BACKYARD. A MUST-SEE UNIQUE HOME. 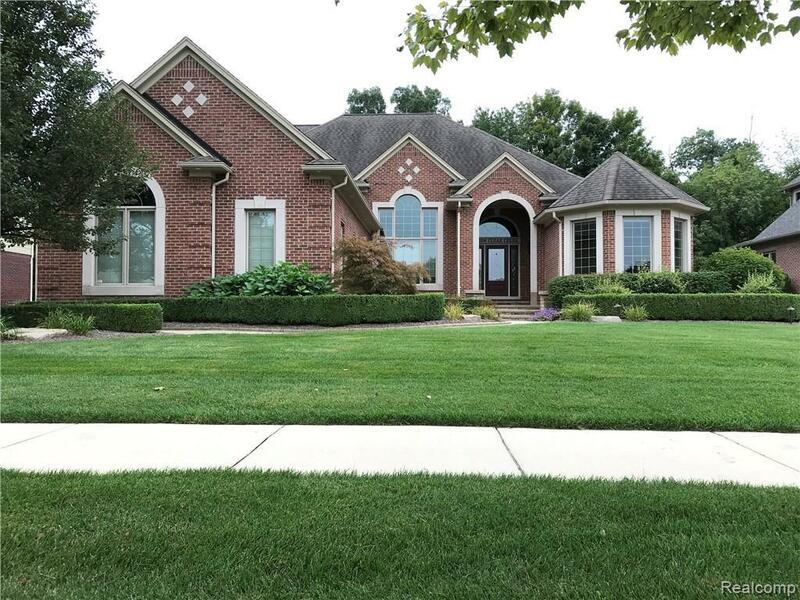 LOCATED WITHIN THE ROCHESTER SCHOOL DISTRICT & WALKING DISTANCE TO BOTH HART MIDDLE SCHOOL & STONEY CREEK HIGH SCHOOL. IDX provided courtesy of Realcomp II Ltd., via Bottom Line Real Estate and Realcomp, ©2019 Realcomp II Ltd. Shareholders.